Premise: One small disgruntled elf plus a large amount of black magic spells trouble for the North Pole. 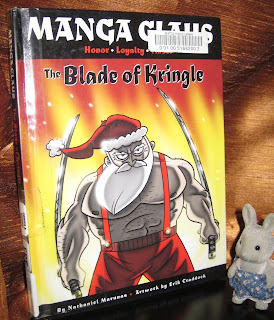 Can even his magic swords help Santa save Christmas now? This was an odd, cute little book. The art was fun, and the story was silly. 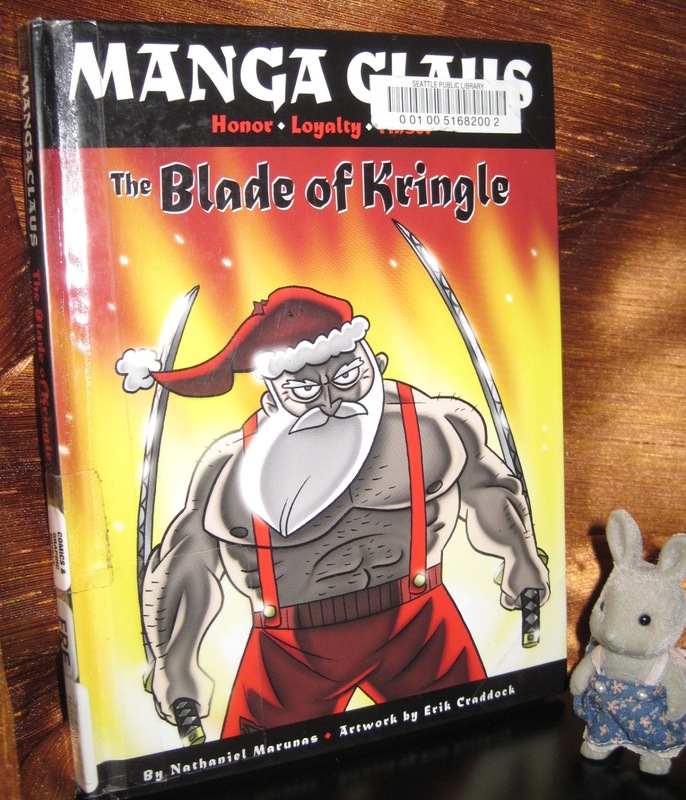 The beginning was probably the best part, and I wish it had been a story about Santa just hanging out in feudal Japan. I really wanted to like this more; it seems like a cute idea and one of the creators thanked a (sadly now-gone) comic store I’m rather fond of. But it wasn’t great, just fine. The evil magic teddies were cool. The larger plotline of the elf messing with magic worked at times, but the resolution felt really wrong to me. I just don’t have much more to say about this. It was really short.